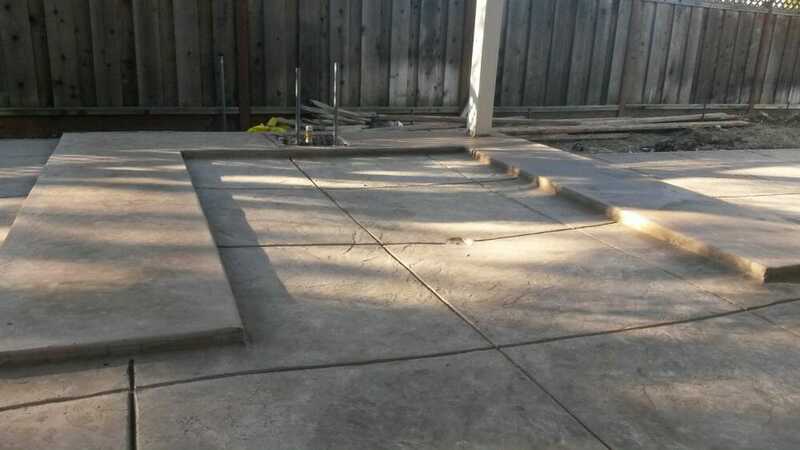 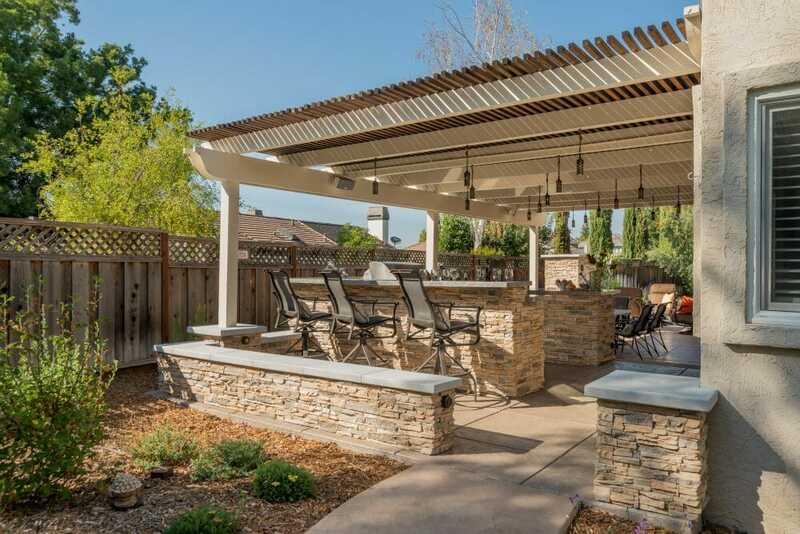 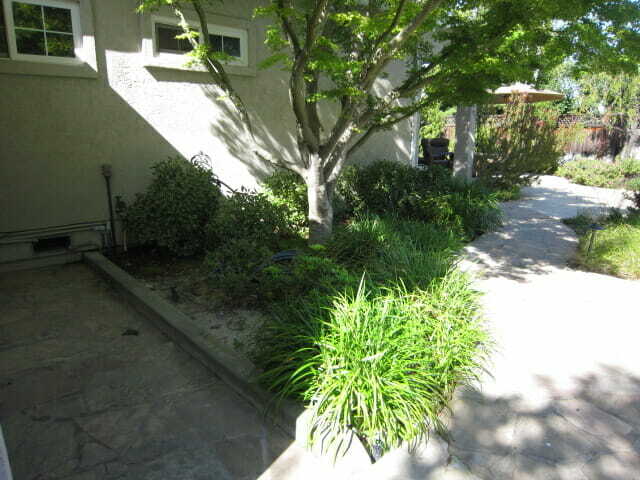 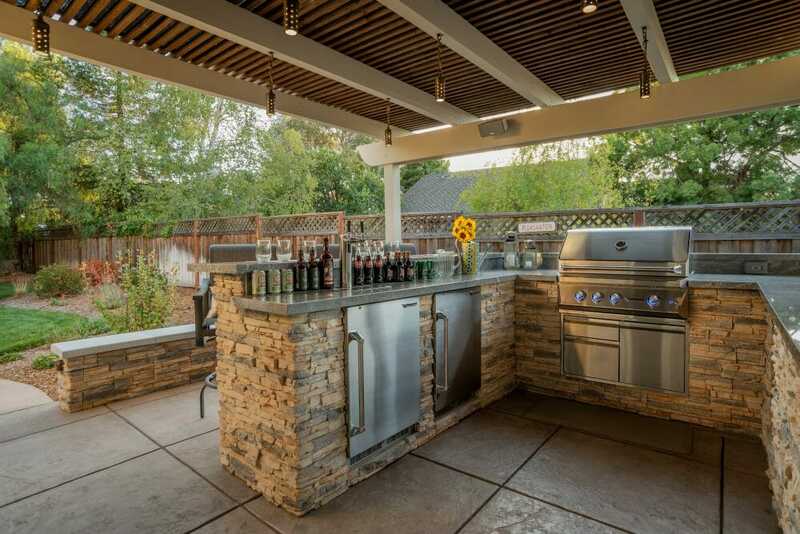 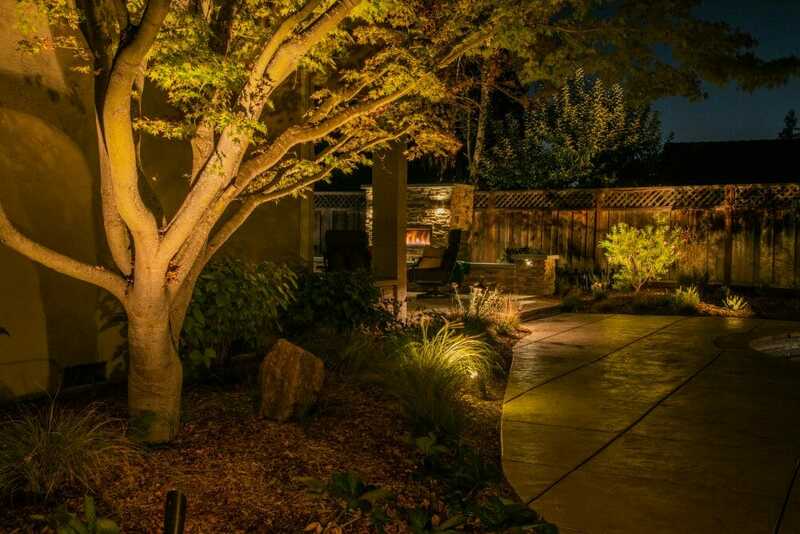 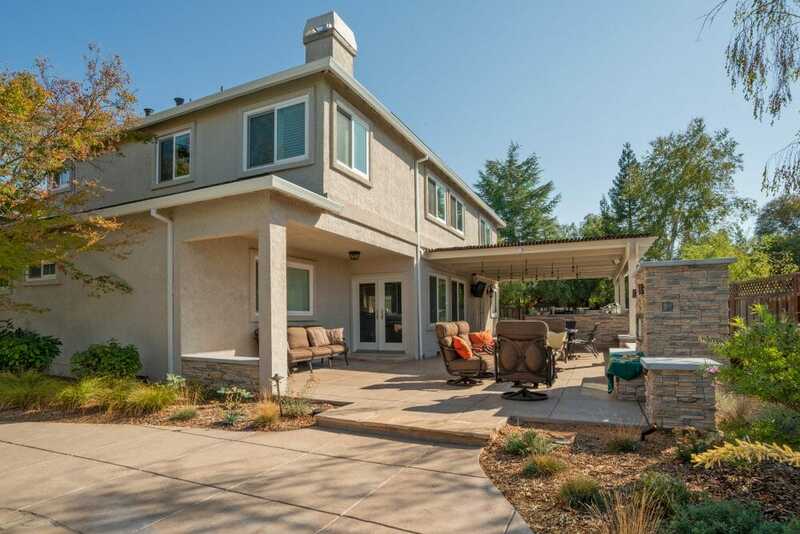 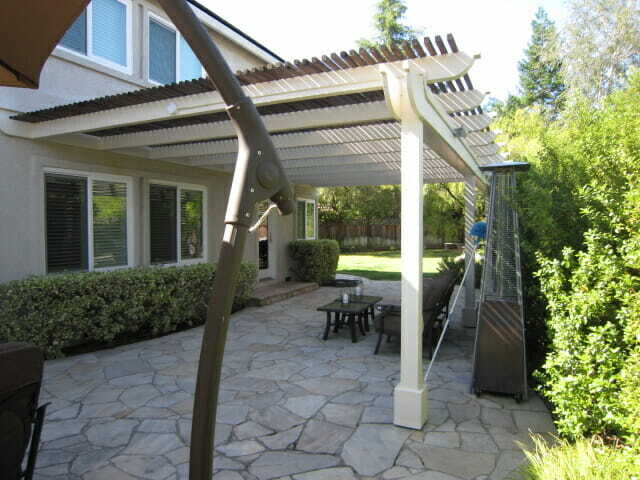 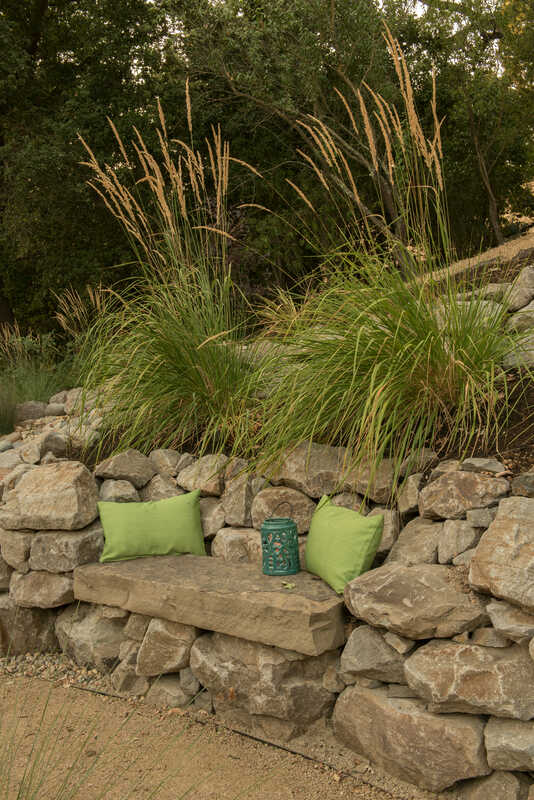 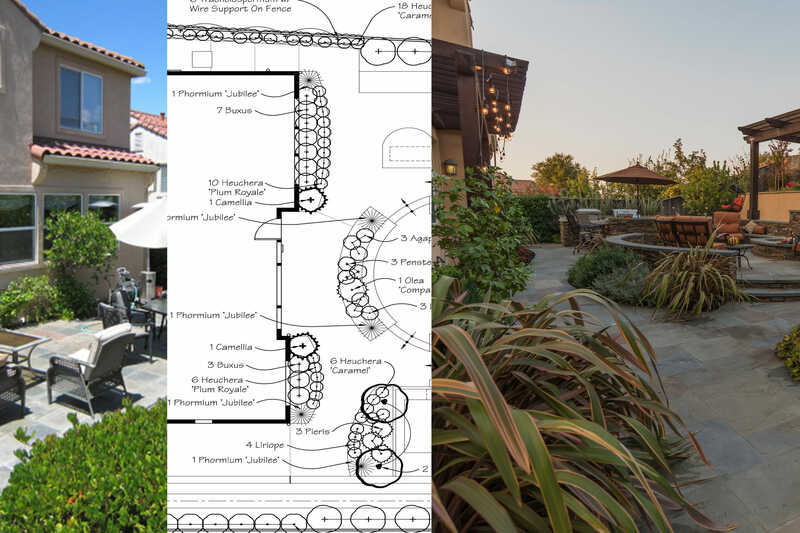 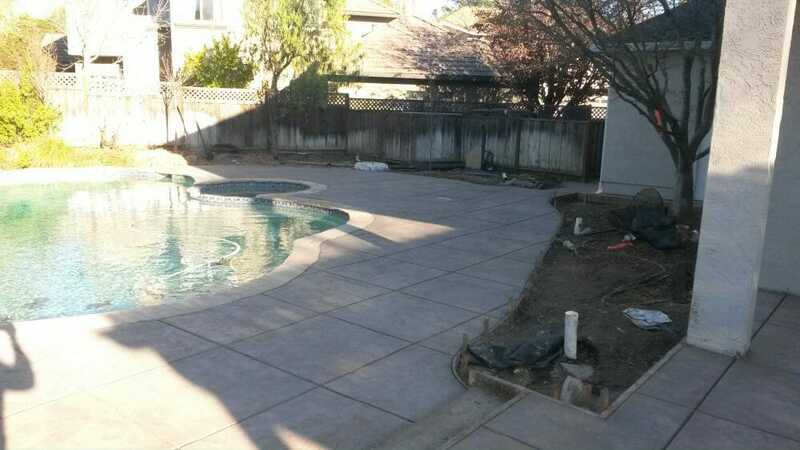 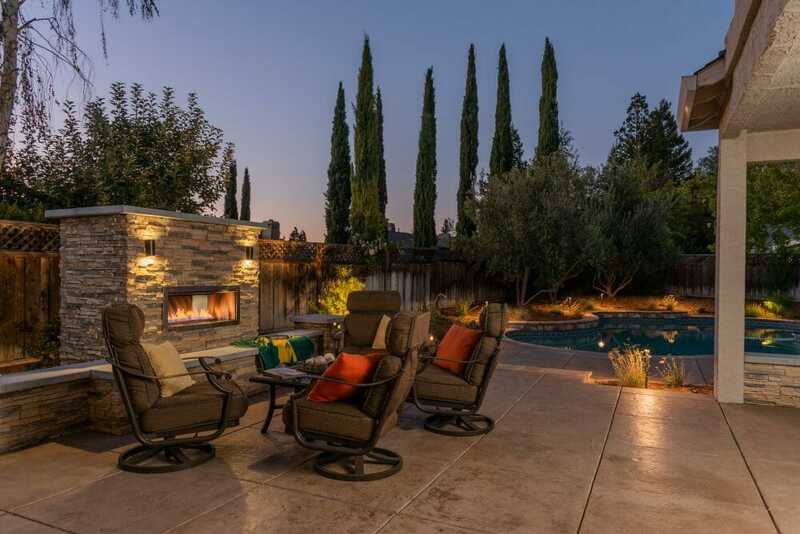 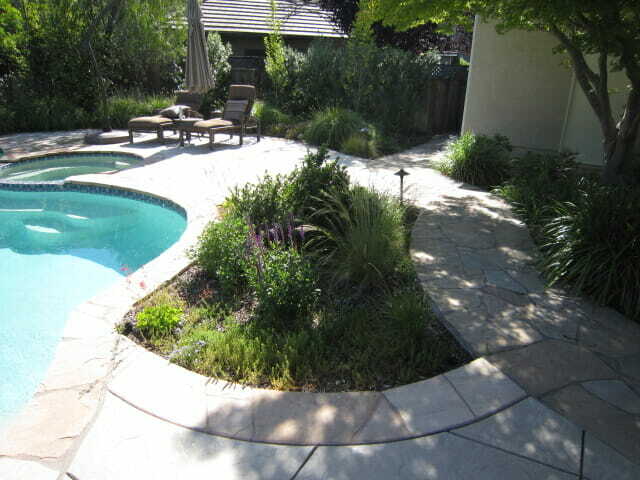 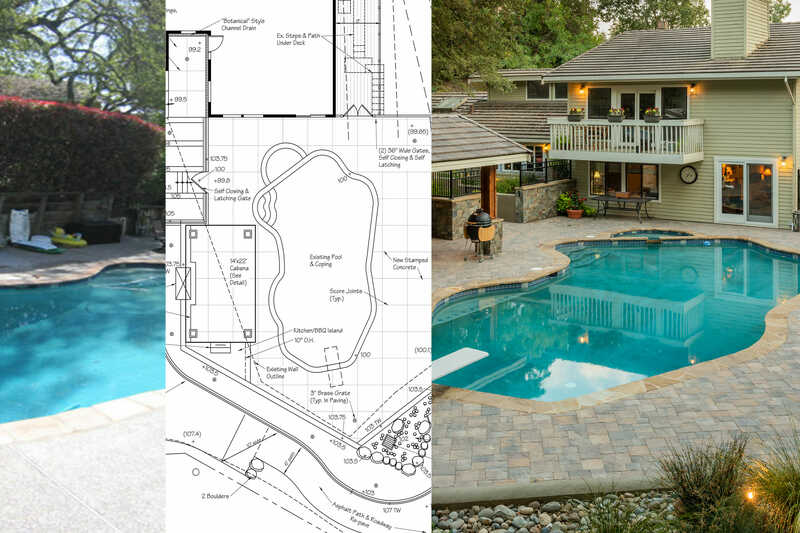 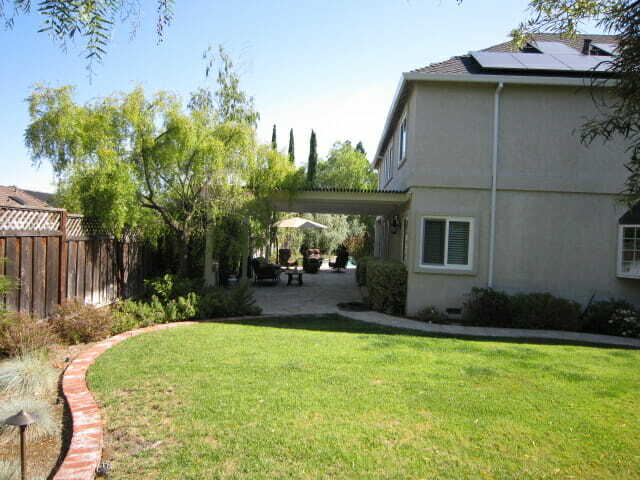 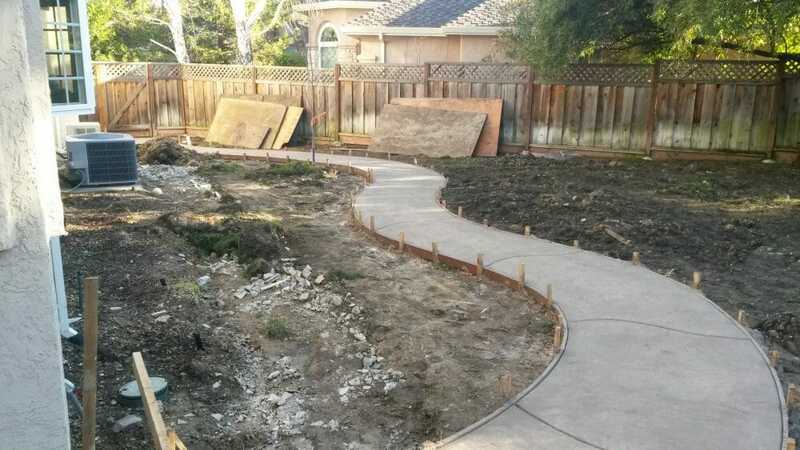 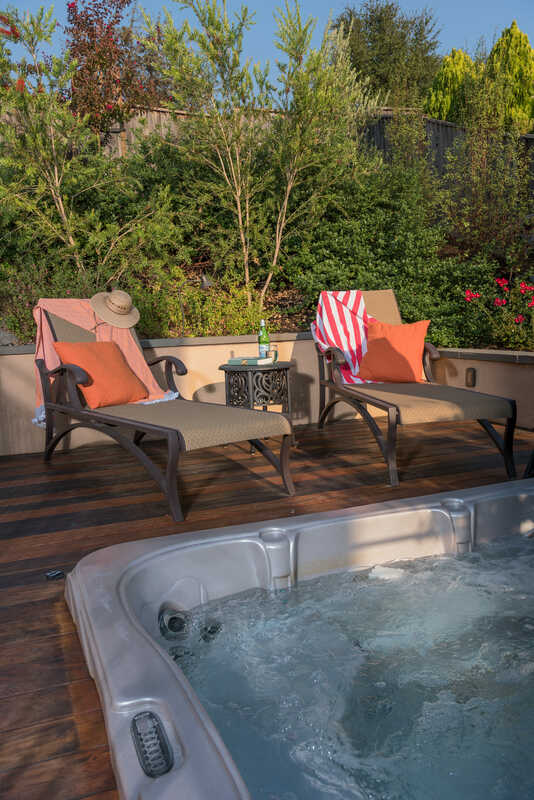 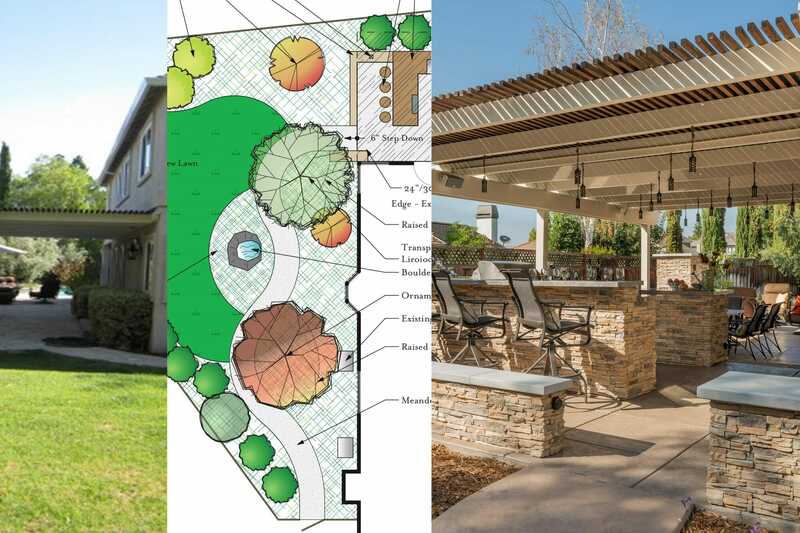 “We’d love a beer garden!” was one of the first items on the project requirements list for this Pleasanton homeowner. 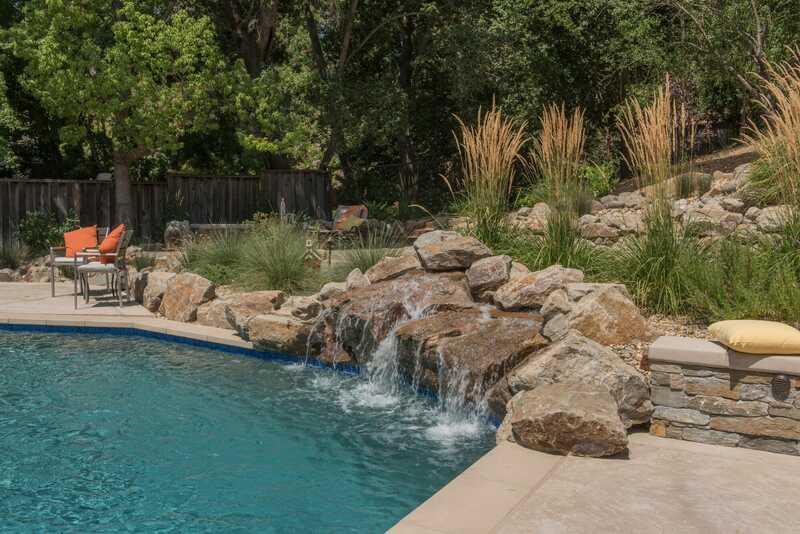 The space had good “bones” with an existing swimming pool, mature fruitless olive trees and a textured concrete pool deck. 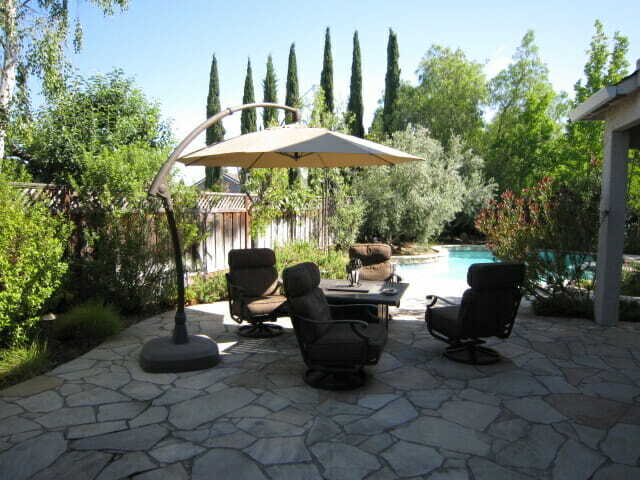 The remaining areas were not used but had tons of potential to become dynamic and inviting outdoor retreats. 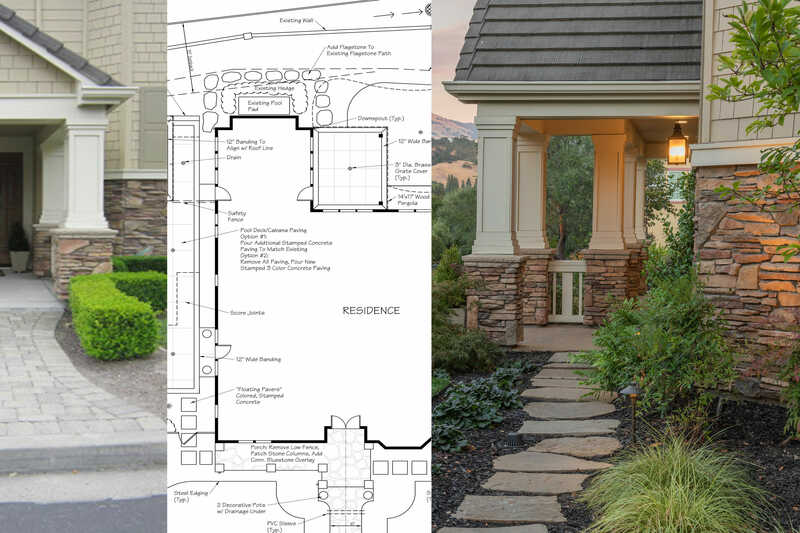 The challenge here was to blend existing elements with new features for a cohesive look. 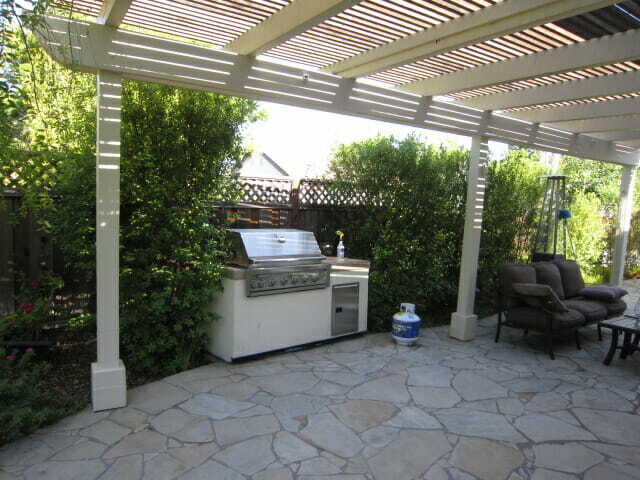 Carefully choosing materials and strategically arranging entertainment areas achieved our goal. 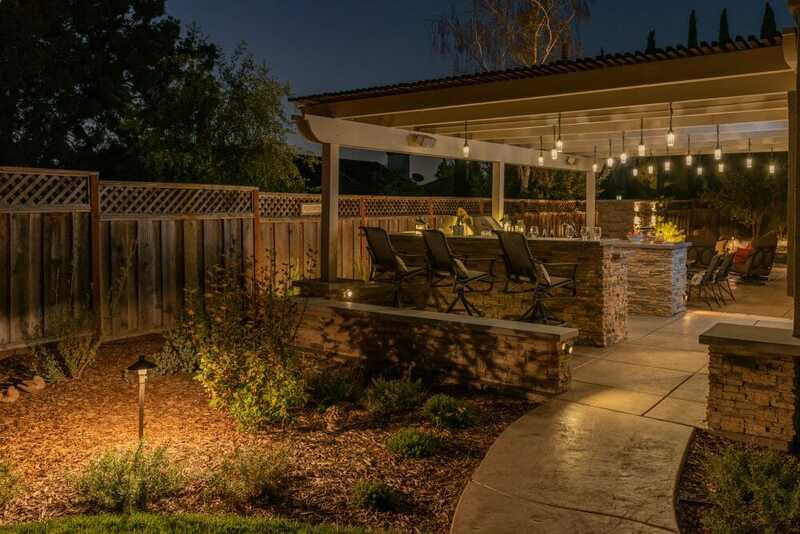 A refurbished pergola with twinkling LED lights covers the patio addition and illuminates the kitchen and bar islands at night – Yes, it has a beer tap! 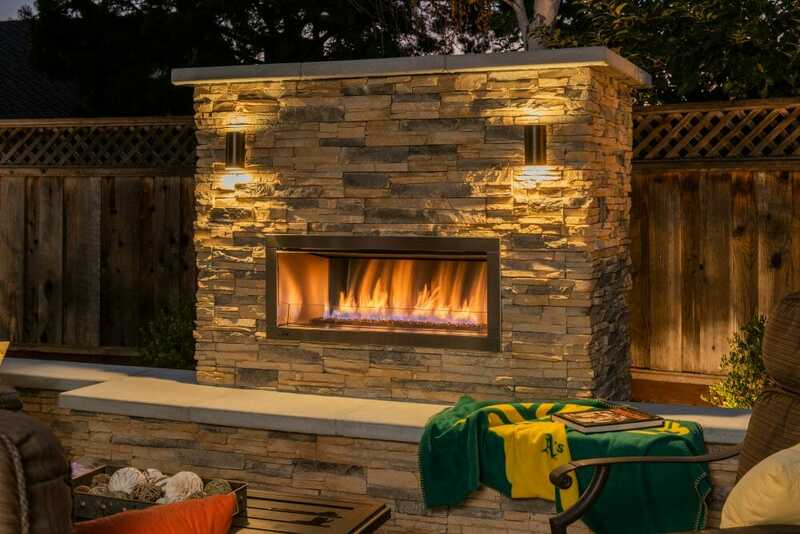 Off to the side is a cozy fireplace and sitting area contained by masonry walls for additional seating and “room” definition. 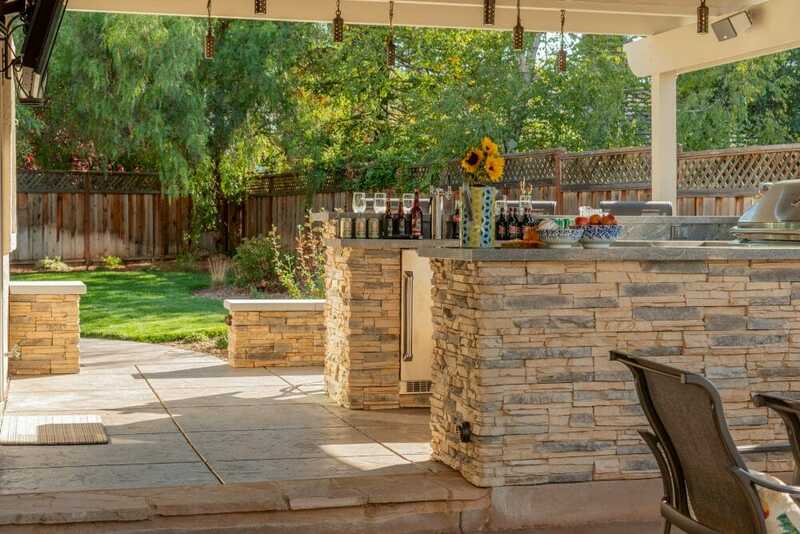 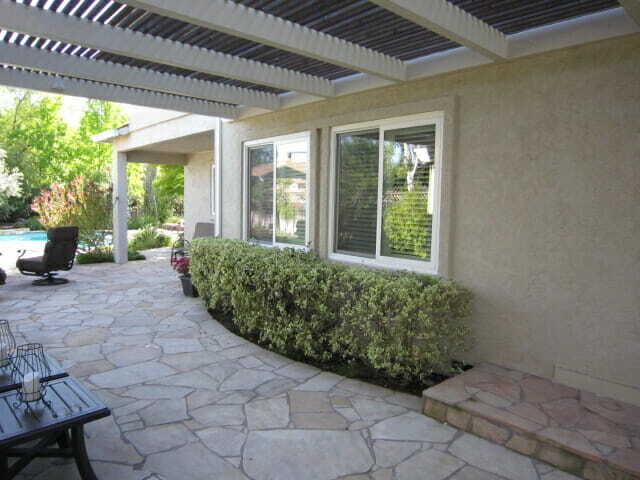 These areas are oriented to view sporting events on their outdoor wall-mounted TV. 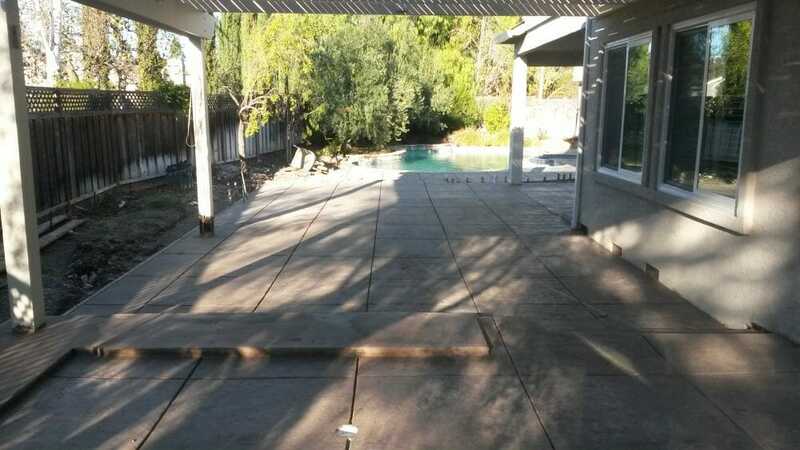 The new textured concrete patio seamlessly blends with the existing pool deck. 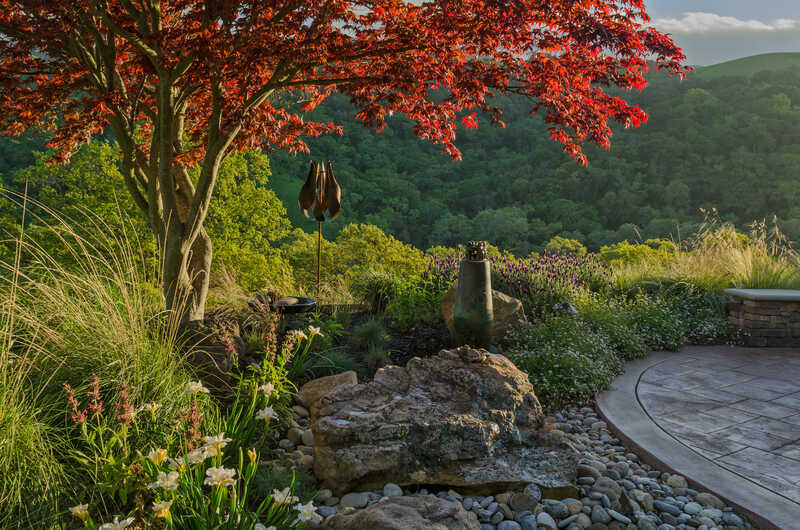 When they want to take a stroll through their garden, a meandering path leads them around colorful planting beds and lawns. 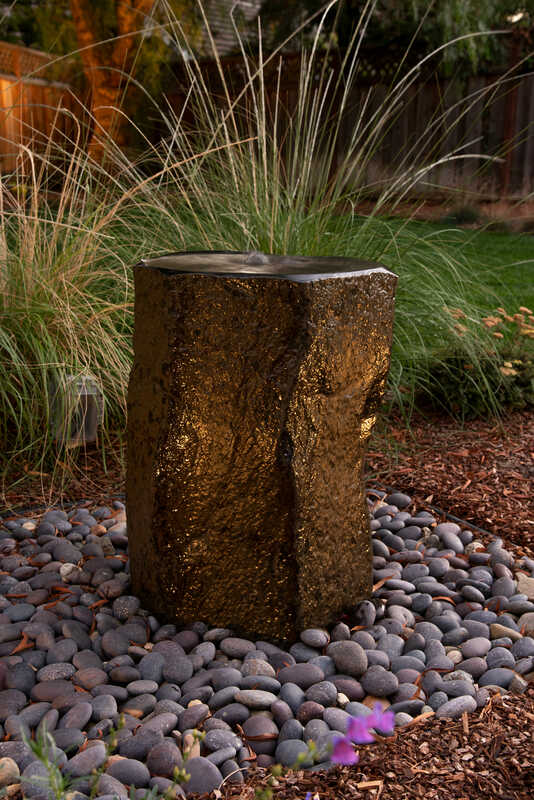 One hidden gem — the beauty and soothing sounds of their boulder water fountain!